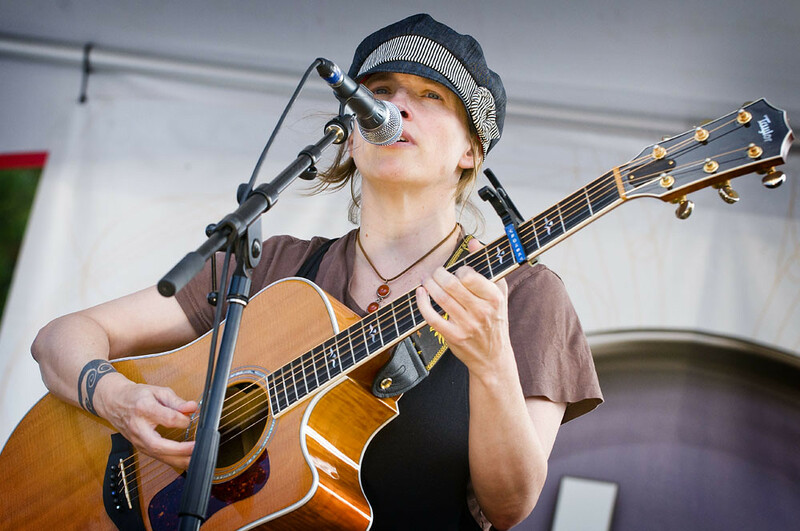 Deb Talan, 1/2 of The Weepies is planning to record a solo album but don't fret. Talan is not leaving The Weepies. She just wants to return to her roots, to her beginnings after 10 years of touring, making records, starting a family and surviving cancer. She's raising funds and asking for help via Kickstarter to record new and unreleased songs. I’m making a solo record, pretty much back where I started: in a room alone, writing and singing. I've got a stash of songs that no one has heard and I want to send them out into the world. I’ve been in the Weepies for more than 10 years. We've toured tens of thousands of miles, we made 6 albums, we sold about a million records, and while all that was happening Steve and I got married, we had three kids, moved to Iowa, I got stage 3 breast cancer, had treatment and recovered, and we kept working. It’s been a wonderful, terrible, full-joy-full-catastrophe kind of 10 years. I feel different, and the same. My kids are out of babyhood, I’m healthy, and I want to reclaim something. Some sense of myself as my own person. I'm still in the Weepies! But I also want to step out musically as who I am right now: a survivor, a songwriter, and a lucky girl. With your help, I can bring these songs to life. I'm nervous. And I’m really excited. Thanks so much for your support, and as always, for listening. Watch the videos below to a couple of my favorite Weepies songs.